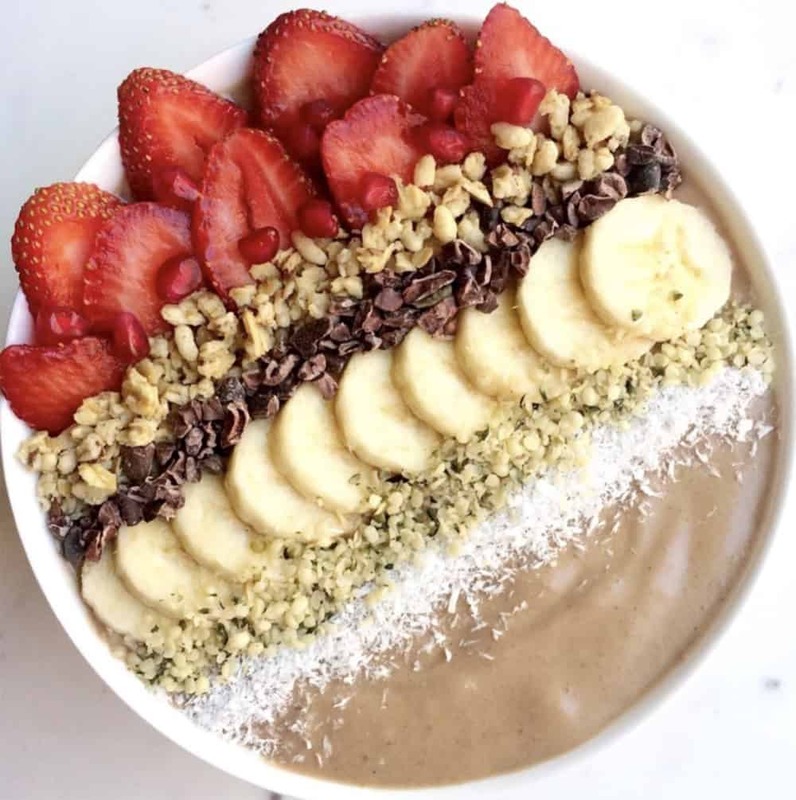 There’s nothing better on a hot summer day than a delicious Chocolate Protein Smoothie Bowl! Who says smoothies can’t be eaten with a spoon? This tastes so good you’ll think it’s a dessert! Fill up bowls and top with fruit or nuts of your choice!